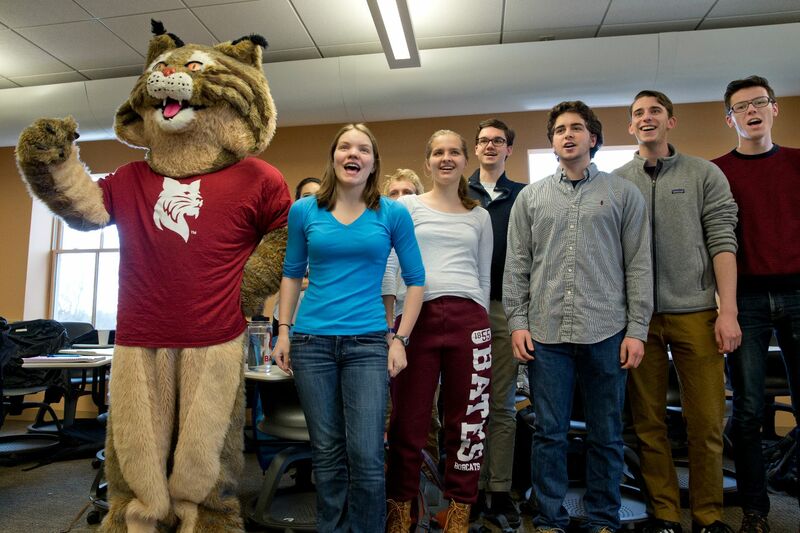 The Bates community rallied in record-setting fashion on March 31, the final day of the month-long Great Day to be a Bobcat giving campaign, easily securing a quarter-million-dollar challenge gift for the college. “The pride and generosity demonstrated all month long show just how deeply our alumni, parents and friends care about Bates,” said Sarah R. Pearson ’75, vice president for college advancement. Over the 24 hours of March 31, 1,675 Bates alumni, parents, students, faculty, staff and friends made gifts to the college — a record number of gifts in one day — bringing the 31-day campaign total to 3,917 gifts. With a goal of 2,500 donors during the month of March, the Great Day campaign entered the final day still 500 gifts short. At stake was a $250,000 challenge gift from an anonymous donor. And what a great final day it was. “It was our single largest engagement and fundraising event in Bates history,” said Assistant Vice President for College Advancement Leah Wiedmann Gailey ’97. The giving peaked with 659 gifts between 10 a.m. and 5 p.m., a surge that was encouraged by a livestream featuring real-time thank-yous by Office of College Advancement staff, as well as a rousing two-song set by the Manic Optimists, a college a cappella group. 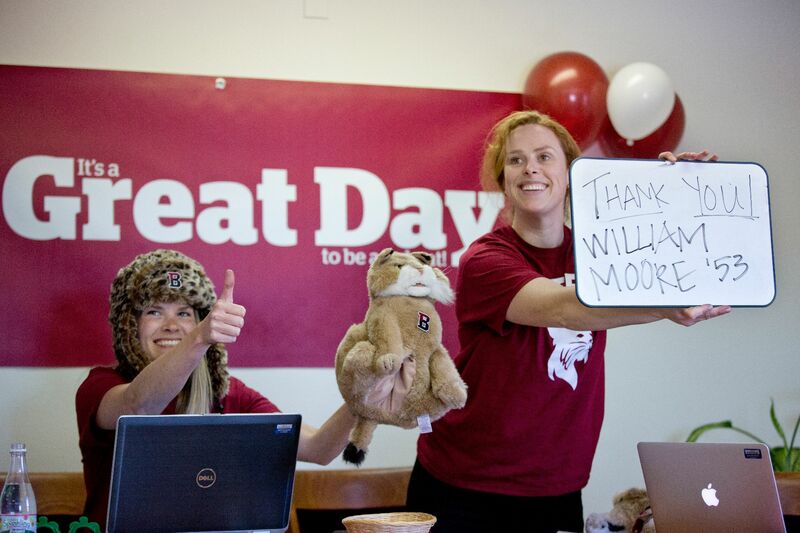 Bobcats of the Last Decade did their part to secure an extra $25,000 from an anonymous donor by making sure that more than 1,000 of the Great Day gifts came from BOLD alumni. Donors from around the world made gifts on the final day, and more than 2,100 viewers watched the livestream from as close by as campus dorms and in cities like Helsinki, Brisbane, Munich, Sao Paul, Beijing, New Delhi, and Hanoi, among many others. Now in its third year, Great Day spotlights the powerful role that Bates donors play in strengthening the college. The name is drawn from the slogan “It’s a great day to be a Bobcat,” a Bates rallying cry coined in the early 1970s by retired football and men’s lacrosse coach Web Harrison ’63.